All the videos present in our newsletter can be found on our YouTube Channel. Teachers Support School Choice, too! Page three of “Education Matters,” a publication of the Association of American Educators Foundation, highlights the staggering results of their survey that shows teachers strongly support school choice for students. 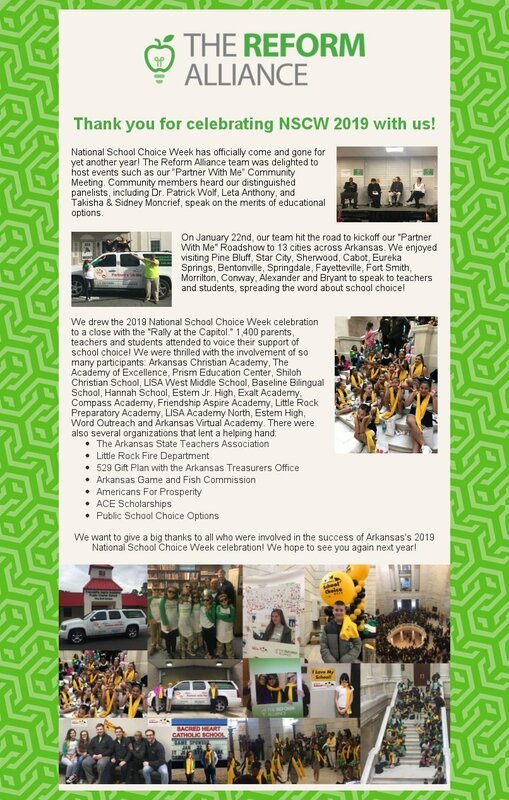 Thank you for celebrating NSCW 2019 with us! Arkansans overwhelmingly support education options to empower families! 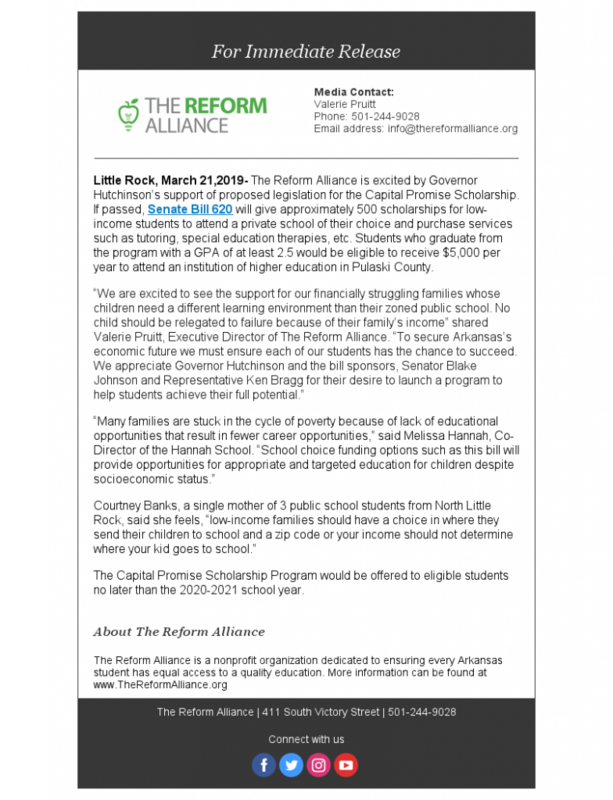 The Reform Alliance conducted an extensive survey for the citizens of Arkansas. Use the interactive tool below to see the results of this poll and find out what Arkansans really think on the issue!